Jeremy Renner & Ben Affleck in The Town. 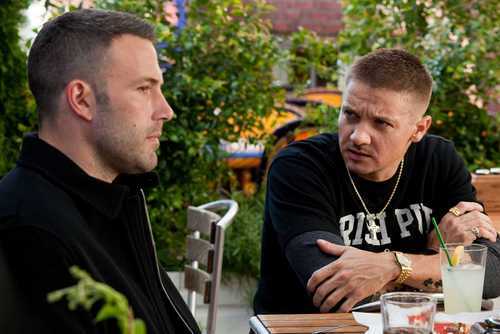 Jeremy Renner as James 'Jem' Coughlin with Ben Affleck in The Town (2010). HD Wallpaper and background images in the Jeremy Renner club tagged: jeremy renner movie still promotional the town 2010 james coughlin jem ben affleck.